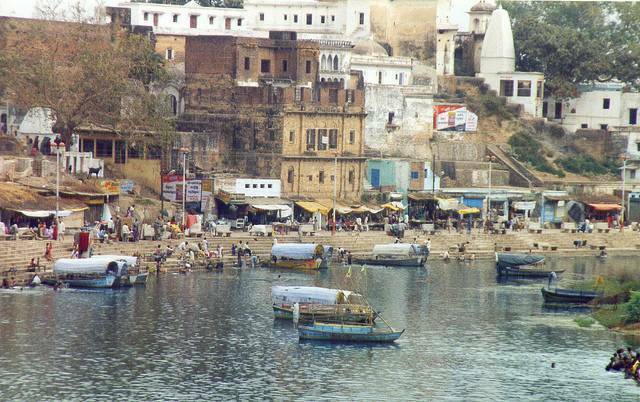 Ram Ghat is thronged by devotees and travelers for its mystical beauty, amidst the chanting hymns, sounds of bell and the fragrance of holy incense, and is located on the bank of river Mandakini. Holy men in saffron meditate and offer prayers, curious onlookers clicking pictures and the grand aarti in the evening reaffirming the sanctity of Chitrakoot. It is believed that during exile, Ram, Lakshman and Sita took shelter here. It is also the place where Tulsidas wrote Ramcharitramanas. Taking a dip in the river purifies the sins and becomes a method to attain salvation is the general belief among the locals.